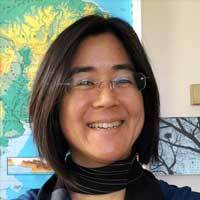 Dr. Frances M. Hayashida joined the Department of Anthropology at The University of New Mexico in 2008. She offers undergraduate and graduate courses in the areas of South American and Southwest archeology, as well as on food, farming and foraging. Hayashida's research focuses on the political economy and political ecology of Andean states and empires, with areas of interest including agriculture and water management, craft production, and beer brewing. She currently co-directs a project on agriculture and empire in the high-altitude Atacama Desert with colleagues from the Universidad de Chile and the Instituto de Ciencias del Patrimonio of the Consejo Superior de Investigaciones Científicas (Spain).